John Lear (b. 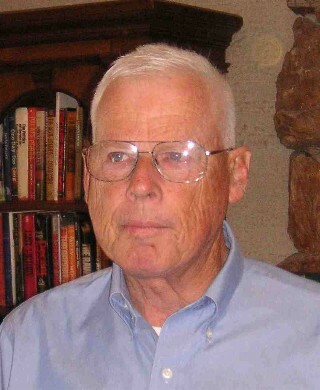 1942) is an accomplished former pilot and well-known UFOlogist. 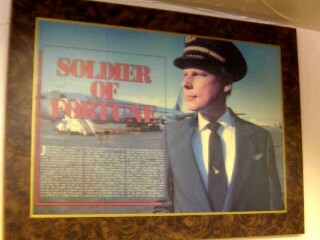 He is the son of aviation pioneer and inventor Bill Lear. John Lear, now retired from flying, amassed over 19,000 hours of flight time, and has flown in over 100 different types of airplanes in 60 different countries around the world. He flew both commercially and in missions worldwide for the CIA. 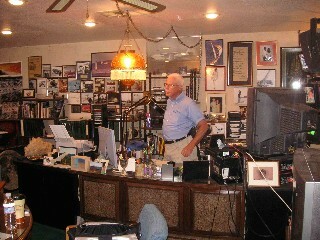 John Lear is the only pilot to hold every airman certificate issued by the FAA, and has held many world records. Lear claims to have always had a slight interest in UFOs. Sometime in the mid-1980s, he read the book Missing Time by Budd Hopkins, a book on alien abduction. This was to become a turning point. From then on John began heavily researching the subject, including tracking down and interviewing many witnesses and individuals involved in the phenomenon. Soon after, in about 1987 or 1988, John Lear began writing and lecturing on the subject. In the summer of 1988, John met a self-styled nuclear physicist named Bob Lazar, and soon became intimately involved in the Area 51/S-4 story. It is claimed that Lazar worked at the S-4 test site (approx. 10 miles south of Area 51) from December 1988 to March 1989, where he took part in the back engineering of extraterrestrial craft. During this time Lazar relayed information to Lear about his alleged activities and experiences there. During this time both Lear and Lazar claim that they were able to acquire a piece of the fuel that powered the craft, Element 115, conducting several experiments that proved the high gravitational attraction and heaviness of the element, among other things. Though, apparently, this evidence was "stolen" back. Around March 1989 Bob Lazar, John Lear, Gene Huff and others organized several trips into the desert to view test flights from a distance. On one of these excursions, Lear claims to have witnessed a glowing yellow-orange, disc-shaped object that rose above the mountains at Groom Lake while looking through a Celestron telescope. On one of these trips, the group was eventually caught, and shortly thereafter, Bob Lazar ceased working at the test site. In late 1989 KLAS-TV reporter George Knapp interviewed John Lear, which resulted in Knapp interviewing Bob Lazar and breaking the Area 51/S-4 story to the public. In the mid to late '90s, John Lear had a break from "digging". In November 2003 Lear appeared on the popular Coast to Coast AM radio show to give an interview (first time in a decade) with Art Bell, where he shared his views on UFO Disclosure, among other topics. In March 2004 he appeared in another interview discussing revelations and theories about the moon. 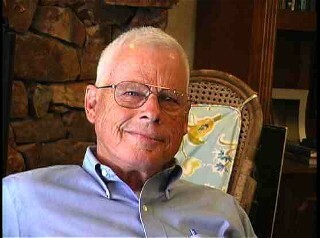 Most recently John Lear has become a regular posting member on several conspiracy based discussion forums. 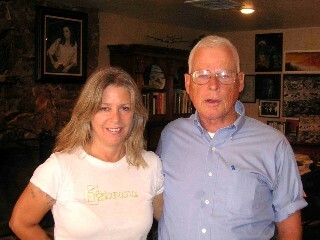 John Lear is a well known, even legendary figure in the UFO community. We were privileged recently to interview him at his home in Las Vegas. We turned up early one morning and were ushered into his amazing study by his lovely wife. John launched into the interview with few preliminaries; to our surprise, he had mountaineering on his mind, and we soon learned that he’d been the youngest American to climb the Matterhorn, and shares with Bill Ryan – a fellow climber – a fascination with the history of Everest exploration. We had no time to carefully prepare the lights or audio as John began to talk. Luckily, however, the lighting in his study was perfect; the Las Vegas morning sun streamed in through a side window framing the man and his world in high relief. Enigmatic, outspoken and challenging, he is the quintessential man of the world. Framed by close-up photographs of Area 51, detailed un-airbrushed moonscapes showing artificial structures, NASA astronauts, advanced airplanes, and every other kind of aerospace memorabilia, he launched straight away into the untold story of the 4th astronaut, never acknowledged by NASA, who died in the tragic Apollo 1 fire along with Grissom, Chaffee and White back in January 1967. In this cutting edge interview, John tells it like it is with no holds barred. He's a man who can tell a great story, keeping you on the edge of your seat the entire time. Under his gruff exterior we found ourselves enjoying the company of a truly charming guy, who's seen it all and has never lost his joie de vivre under the weight of significant knowledge. This is a Project Camelot Production shot, edited, directed and produced by Kerry Lynn Cassidy and Bill Ryan, presented by Jerry Pippin Productions. Photographs by Kerry Cassidy and Bill Ryan. All images on this page are copyrighted by Camelot Productions.